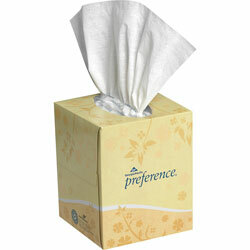 Soft, absorbent, white two-ply facial tissue in a decorative cube box is ideal for the vanity or a built-in dispenser. Offers a cost-effective solution for all facilities. White Facial Tissue from Georgia Pacific! 11211 In Stock today.